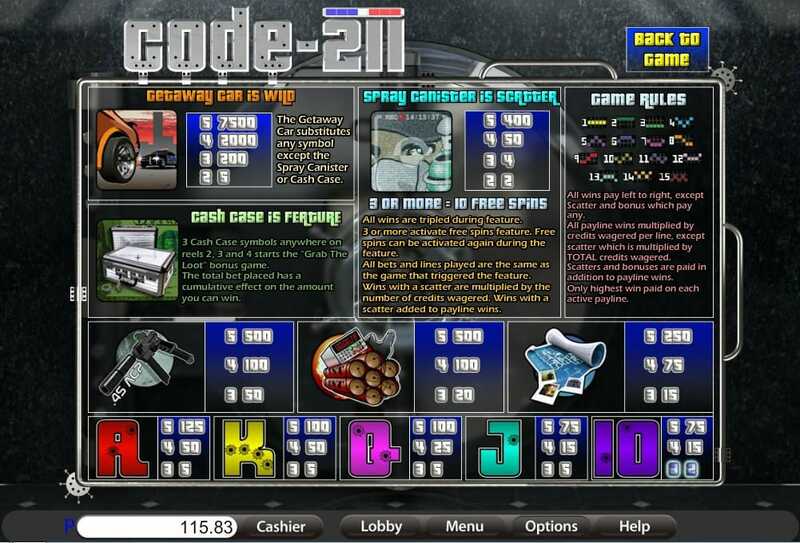 Did you know that code 211 is police lingo for a robbery? If you ever overhear the cops talking on their radios and hear them drop the number 211 into their conversation, then you know that a robbery’s just taken place somewhere. 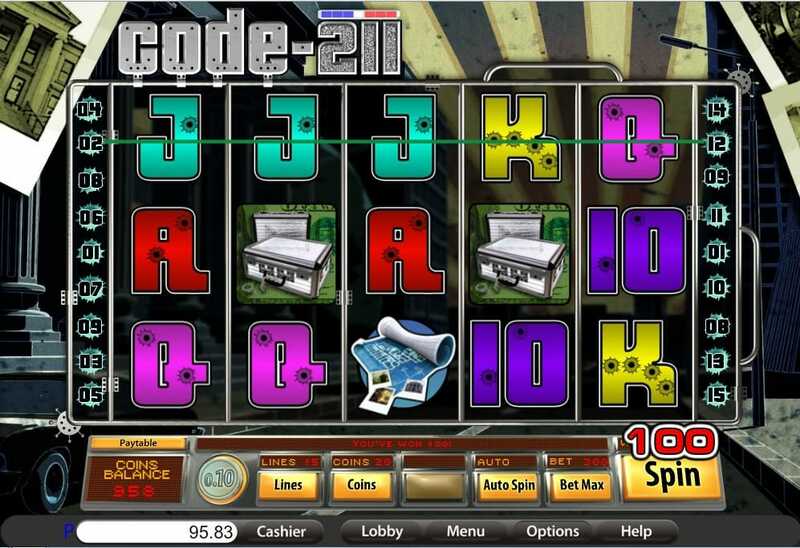 Code 211 is a new online slots game based solely on this secret code – think you will be able to catch the thief and win some of that lute for yourself? Good luck! Get the best out of our slot promotional offers before you play the game! Slotsbaby is the place for more games by Saucify. This fiendish game comes from the brilliant minds at Saucify. This innovative team of developers have only been working together as a company for a short period of time now, but that hasn’t stopped them turning out an impressive selection of casino slot games. Saucify’s main USP has to be their simple games with unique themes and bonus features. The slots are easy to play, but the extra details really pack a big punch and will keep players coming back for more. Crime doesn’t usually pay, but could it be what makes you your fortune in this game? This crime-themed game follows a getaway chase after a big heist. You need to hope that the getaway car turns up for you and is able to whisk you away to safety. It’ll only appear if you spin, though, so you better get ready with those reels! evidence and also a handgun. The symbols on the board have been dotted in bullet holes, and most of the icons are things you would use in a burglary – dynamite, guns and a getaway map. You’ll need to spin as many of the picture symbols as possible as they come with the highest values and will help you bag the loot. The game’s bonus features will also give you a helping hand too. WILD SYMBOL – The slot’s Wild is the getaway car. It will replace any symbol except the spray can and metal case. FREE SPINS – In order to win some free wins, you will need to spin at least three spray cans. While you are on a free spin, all of your winnings will be tripled. GRAB THE LOOT BONUS – One of the best parts of Code 211 has to be its bonus game, Grab the Loot. You will trigger this by spinning three metal cases. This round is a basic picking game – take your pick and see which prize you win!